On Wednesday, October 5th, Burling Bank’s Founder and Chairman, David F. Goldberg, passed away peacefully at home at the age of 85. A mentor to countless traders and a giant in the exchange industry, many of you knew Dave personally. 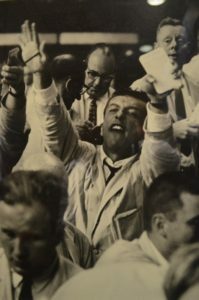 Dave was a LaSalle Street success story — a self-made man who started out as a teenage floor clerk at the Chicago Board of Trade and went on to lead an accomplished career as a commodity trader and business owner. Never one to settle for complacency, Dave and his brother Bob built Goldberg Brothers into one of the largest clearing and trading firms in the industry with thousands of traders populating the trading floors in six different cities — spanning from San Francisco to London. Grateful for the professional opportunities provided to him by the exchanges, Dave gave back to the industry by serving as a founding member and Director of the Chicago Board Options Exchange, as well as a Director of the Chicago Board of Trade, Chicago Stock Exchange, Options Clearing Corporation, and the Securities Investor Protection Corporation (SIPC), appointed by President Ronald Reagan. 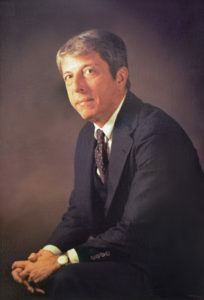 Upon the successful sale of his trading firm in 1988, Dave eschewed retirement and founded Burling Bank, a boutique banking business located in the landmark Chicago Board of Trade Building. For twenty-seven years Dave served as Chairman of the Bank and continued to share his wisdom and guidance from his perch overlooking the LaSalle Street Canyon. Always a proponent of service and helping others, Dave served in the U.S. Coast Guard and on countless charitable boards such as Loyola Academy, Regina Dominican High School, St. Francis Hospital, and Catholic Charities of Chicago. Though he was a pragmatic man, David Goldberg believed in the promise of tomorrow. In that spirit, we honor Dave today for what he meant to each and every one of us, and celebrate a life of purpose and an individual of character. On behalf of Dave’s family, and the Bank’s Board of Directors and staff, we thank you for your friendship, your loyalty, and your confidence as part of the larger Burling family. A memorial service will be held in Glenview, IL on November 4, 2016. For more information please click here.